Traveling in itself is already an adventure. However, there are those people who really seek adrenaline-pumping, hair-raising, mind-blowing activities. 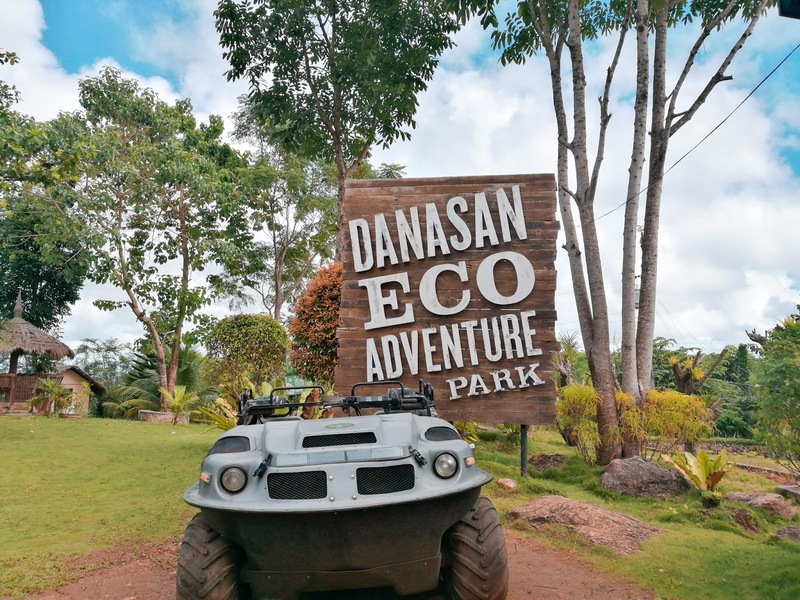 So if you're from Cebu (or if you're wanting to visit Cebu), there's no need to go very far to satisfy your adventurous spirit because Danasan Eco Adventure Park has it all for you. We were there just a month ago and I have to say that it was an experience I will never forget. If you have read my post about the beautiful sea of clouds at Danasan Peak, then I'm sure you'll get even more excited about what other activities you can do at Danasan Eco Adventure Park. Danasan Eco Adventure Park is an hour and a half (or maybe two) away from Danao City, Cebu. And getting there alone is already an adventure with the long and winding roads. Danasan Eco Adventure Park has a lot of eciting adventures just for you and here are a few of the very many activities that you can try. When you're in Danasan Eco Adventure Park, your visit will never be complete without trying the famous Sky Drop. You will be ~slowly~ sent up to 120 feet high to reach the pinnacle. And once you're there, it's your call to pull that string to give you the scariest 3 seconds of your life by free falling and then swinging back and forth until you're ready to go down, let your soul come back in your body, and let the experience sink in. Did I enjoy it? No, because I didn't try it. Yes, I love adventures but I still have limitations too. That day, I didn't feel like I was ready. So I went home with an incomplete Danasan experience but I don't care. I can still go back (and it's definitely one of the reason I want to go back) and finally give it a try. I have never been a fan of wall climbing but I knew that I had to at least try before I judge myself. Danasan's Wall Climbing Adventure gives you a lot of options. One, you climb up to 60 feet and then prepare yourself to cross to the second tower through the cable and then go down by rappelling. Two, climb up until 120 feet and go back down. Three, climb up as high as you can and go back down. I'm sure you have guessed that I did number three. I think I only climbed as high as 10? 20 feet? and then I asked to be pulled back down to the ground. At least I tried, no? If there's one adventure that I really loved, it has to be Wakeboarding. It was my first time to try and while the guide gave instructions and demonstrated how it's done, I started to feel like I can't do it but I really want to try it. I watched my colleagues do it first and every time I see them fall, I imagine myself falling as well. And when it was my turn, I was glad that I didn't fall right then and there. At least I was able to travel a few feet from the starting point before I fell down. In fact, I fell down countless times but I was so determined to complete at least one round. And when I did, I was really happy with my achievement. Wakeboarding is absolutely one of the reasons I want to go back to Danasan as well. Another fun adventure that we tried was the ATV. It is an all-terrain vehicle (hence, ATV) which is plainly for amusement consumption. We did the ATV at night which made it even more fun and exciting and risky too. Risky for me. Because I have never driven anything in my life. Not even bump cars. I'm scared of driving but there was no turning back. When my ATV first roared, I was so scared and when I went forward, I was even more scared. And then bam! I crashed for the first time. I drove to a high ground that I almost flipped over. Good thing their staff were so quick and quickly guided me how to move forward without dying. LOL. I think it was an hour of ATV driving along the trail and I crashed and almost flipped over countless times. I'm so lucky that I still went home in one piece. Haha. The speedway is like the Go Kart that some of you may know and may have tried too. There was only one speedway available that night so we were supposed to take turns. I have never tried a Go Kart and I thought that I had enough driving that day so I opted not to try it. Sheen, however, was the first one to try and he was able to complete two rounds. Waterfalls trekking at Danasan Falls was one of my favorite activities as well. It was like Sirao Peak all over again minus the nine hours of trekking. Lol. Danasan Falls has three levels and the most adventurous was trekking down to Level 1 and going back up. The rain even made the trek difficult and risky because the trail was getting slippery. Nevertheless, it was a trek that I enjoyed. There are activities at Danasan Falls that you can do aside from trekking such as Tyrolean and Rappelling however, I did not do it because I wanted our last day at Danasan to be spent chilling and swimming in their pool. Haha. I love swimming pools! After the strenuous activities, all I wanted was to chill and relax before going back home. So I did not join them in the tyrolean and rappelling adventure at Danasan Falls and I took a dip in the pool instead. The pool is my happy place. Haha. I enjoyed around 30 minutes of swimming and went back to our room to change and sleep before we take our lunch. Omg Janine! This is so cool! You're so brave hahaha gikuyawan ko sa kataas. Nice kaayo nga place. I'm sure malingaw jud ang family ug adto mag adventure. Ganahan ra ba akong mga igsoon mo anha. Hopefully next year. Motalaw lang ko sa activities kay dili jud ko fir hahaha. OMG! Gusto ko to ma try ung adventure trail nila. Pero we were just at the swimming pool when we went there. Nag chill lang kami enjoying the nature.